Legal translation is a highly specialised aspect of the translation industry, which should be handled with a lot of care. That’s because a poor translation can bring severe repercussions for law establishments, their customers as well as other interested parties. So it is crucial to check if a legal translation service provider has the appropriate systems in place and expertise to ensure accurate interpreting and translation services all the time. We have prepared some guidelines to help you assess the suitability of a legal translation agency, interpreter, or translator. So if you are looking for a legal translator in Nice, click here and also utilize the points outlined below to evaluate several providers before you hire. It is important to ask the prospective service providers the criteria they use in selecting legal interpreters and translators, as well as the technology they use. You should expect a legal translation firm to choose their staff based on technical expertise, linguistic skills and practical experience in handling important translation jobs. Professional project managers are also a significant aspect of an accurate legal interpretation, ensuring that all the tasks are done in time and according to the high standards of quality. Consequently, it is crucial to know the procedures and systems put in place by the legal service provider, and the person responsible for delivering your work. Translation technology assists in streamlining procedures and also ensures consistency across ongoing cases and large documents. Ask about the technology solutions the legal service provider employs and how they incorporate linguistics and automation into their interpretation or translation services. When used properly, technology can reduce costs and turnaround times considerably, as well as guaranteeing consistency and accuracy. You cannot trust a legal translation service provider to deliver projects with the highest standards of professionalism and accuracy if it doesn’t have in-house expertise. The translation industry is not regulated, and that means in theory that almost anyone can maintain that a translation task is accurate. Government departments and courts need evidence that a translation is an authentic and truthful interpretation of a legal manuscript, so a certified interpretation from a recognized legal services provider is necessary. The translation service provider you chose should be a member of the Association of Translation Companies, an organization that operates a stringent code of ethics for its members. Moreover, freelance interpreters and translators should be associated with professional organisations like the Institute of Linguists, Institute of Translation and Interpreting, and the AIIC. Outsourcing legal translation services to a third party provider will automatically bring data protection and confidentiality issues for regulated firms such as those in the legal industry. Legal documents and sensitive data should be treated with a lot of care and all parties involved must have strong systems to safeguard them. A reliable legal translation agency in Nice should have stringent security and confidentiality policies including NDAs, Translator Confidentiality Agreements, as well as cyber security and data protection processes and tools, and also adhere to the relevant certifications. Technical expertise is significant for accurate legal interpreting and translation services. Interpreters and translators should be legal experts, meaning that relatable law qualifications and skills are a requirement. The legal translators should not only know the meaning of the words or clauses they interpret, but they should also understand the interpretation of the laws that those words represent. Legal translation is all about knowing the legal impact of every translation task in its intended language. Therefore, ensure that you ask for the resumes and other documents showing the expertise of an interpreter or translator before assigning any translation jobs to them. • Turnaround times – Can the legal translation company assure the turnaround of translation projects within the appropriate timeframe? Do they provide ‘rush translation services’ when it comes to projects that should be delivered within a limited period? • Quality vs cost savings – Can the legal translation firm guarantee quality and still deliver value for your money? • Project management crew – How will the translation jobs be managed? And whose responsibility is it to deliver the translation projects upon completion? • Interpreter and Translator Network – Does the legal translation company have enough experts to provide you with the services you need? Can they provide the subject matter expertise as well as the languages you require? There have been many complaints in the past in the recent past whereby some firms have received terrible results because of giving projects to individuals who are not certified, legal experts. It is quite challenging to fully understand some jargons used in the legal world mainly if you don’t have a background in law. Nevertheless, for those conversant with law basics, a professional legal translation service is a walk in the park. In light of this, we will look at some of the benefits of contracting a professional legal translation agency in Nice. 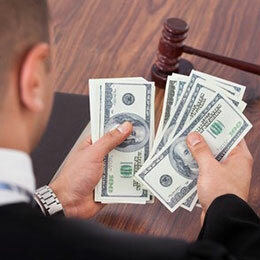 One of the advantages of hiring professionals for legal interpretation services is that you are guaranteed of quality. Law is complicated, and therefore you need people with practical skills and experience to get accurate legal interpretation services. Legal translators should be able to communicate the complex and technical ideas across different languages. One of the common mistakes most entrepreneurs make is using friends or family just because they are an affordable option. Simply because they are English speaker s doesn’t mean they will provide accurate translation services. Consistency is significant when translating a legal document across different languages. Consistency is especially critical when it comes to legal documents since they usually have a specific flow. If you contract an expert legal translator, one of the things you’ll get is consistency in the final result. Since many legal documents are typically in long prose, these experts are better placed to tackle the translation with ease. Moreover, most of these firms are professionally managed. Therefore, they’ll try to maintain consistency since by doing this they’ll be safeguarding their brand and also court you for any future projects. When translating any legal document from one language to another, the perspective is significant. One of the benefits you will enjoy when you contract a professional legal translator to work on your projects is that the output will also be culturally accepted and correct. The professional interpreter will not only guarantee that the final output will be in a grammatically correct and easy-to-read layout, but it also makes a lot of sense regarding the context. Most of the languages have minor nuances, typically from one geographical place to another. A legal translator expert will easily recognize that and incorporate it in the final translation. Legal content may require translation from one language to another for various reasons. If you are submitting it in a court of law or any office, a legal document can have a great impact on the outcome. If you want the content to be submitted in a particular country’s official language, you will require the assistance of the suitable legal translation service. Legal translation is, therefore, more complicated when compared to other forms of document translation. A single mistake can easily cost you the expected results. It can also lead to a loss of possession, property, and dispute among other things. So, selecting the right firm for legal documents translation services is very critical.